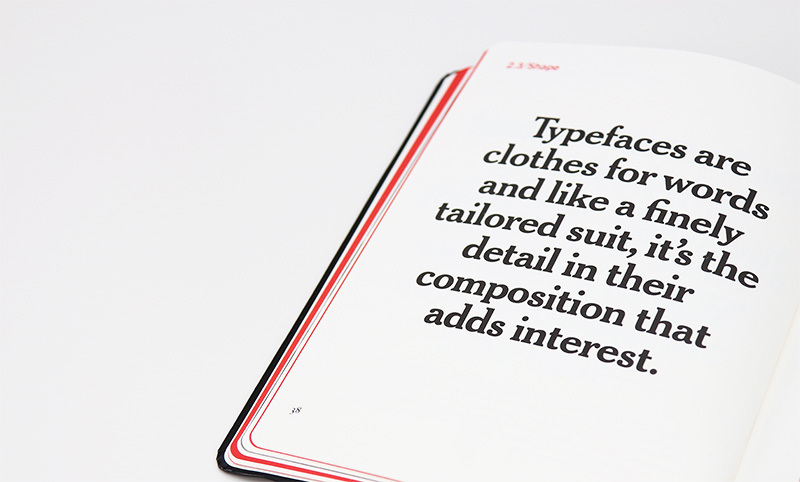 JUST READ 02: TYPE MATTERS! From a young age, I was aware of typefaces. Only I didn’t know they were typefaces as I was five, and although fairly bright and a precocious reader, I wasn’t some kind of intellectual-design-kid-prodigy (although how cool would one of those be?!). I remember wondering why certain ‘types’ of letters were used for kids books, adults books, cereal boxes, billboards, TV adverts etc. and noticing patterns as to how they were used, the styles that were aimed at kids on toys and cartoons for example. Then as an egotistical and slightly obnoxious teenager I spent inordinate amounts of time developing (far too) many variations on how I wrote and signed my name (Mandi, with an ‘i’ of course – cringe) and then painstakingly scrawled it all over my – and my pals’ – schoolbooks. 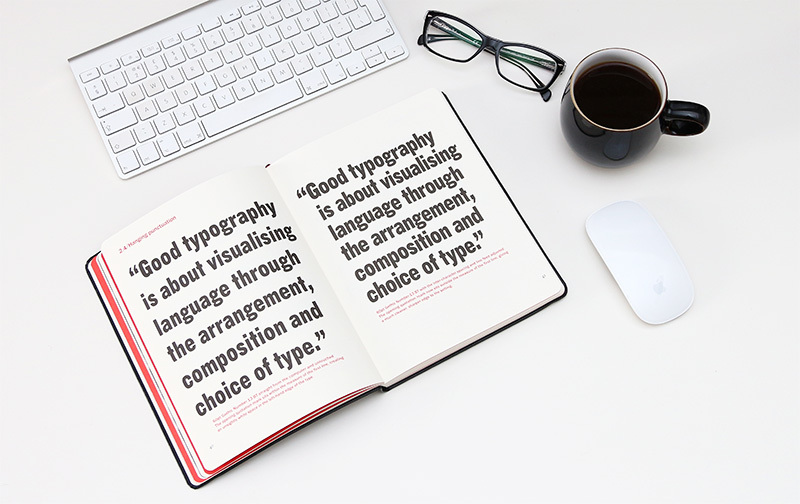 Safe to say, I find the subject of typography fascinating, and can look at type books for hours; probably longer than would be considered healthy. I obsess about it because as a designer, its an important part of my job; weird typesetting and crazy typeface choices can do so much damage to visual harmony, brand voice, legibility, readability and ultimately the viewer’s understanding of a piece of communication. 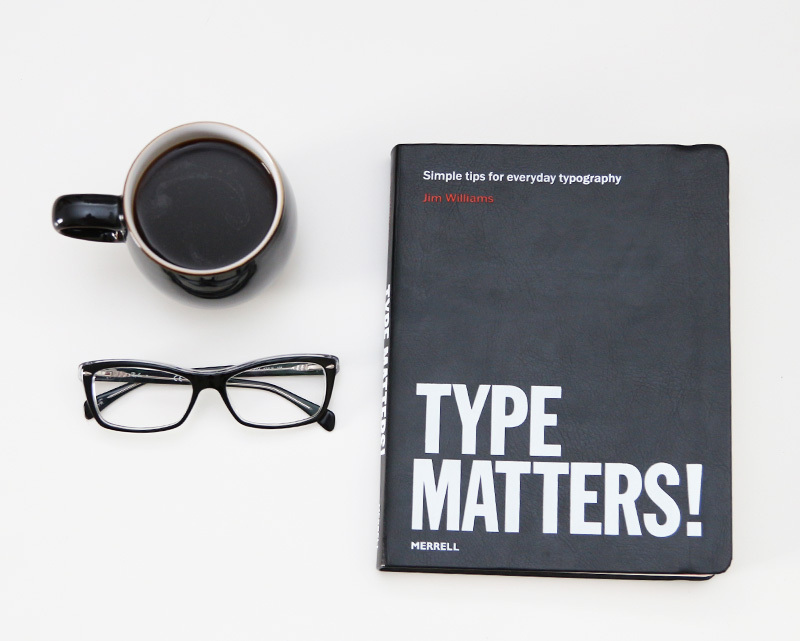 Anyway this brings me to this excellent book, Type Matters! by Jim Williams. This is a great book for a basic, but comprehensive, education in typesetting. An absolute pleasure to read with a gorgeously tactile cover, rounded page edges and beautiful typographic spread. 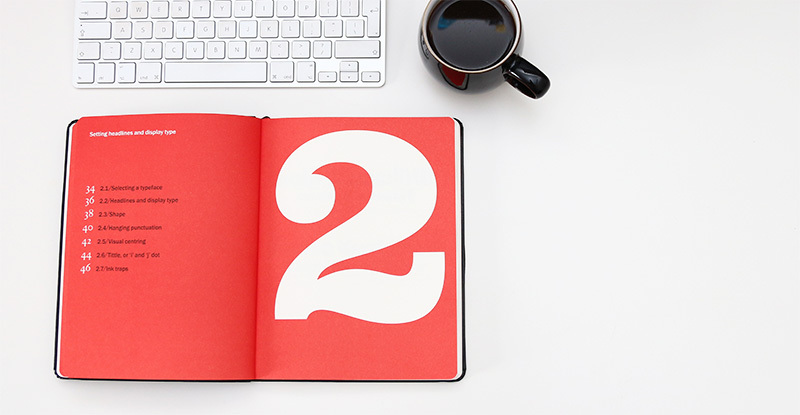 I’ve been asked by a number of design graduates and students what books I’d recommend, and as I get through quite a few, I’ve decided to do a regular book review post on my blog of creative books I’ve read. While I do enjoy the odd eye candy design book, to be honest I can’t really read them for long. And if I do, I’m left with a kind of empty feeling. I like to know the whys and hows so for me its the books about the thinking behind creative work, the strategy (or indeed, the tactics) that I go for. 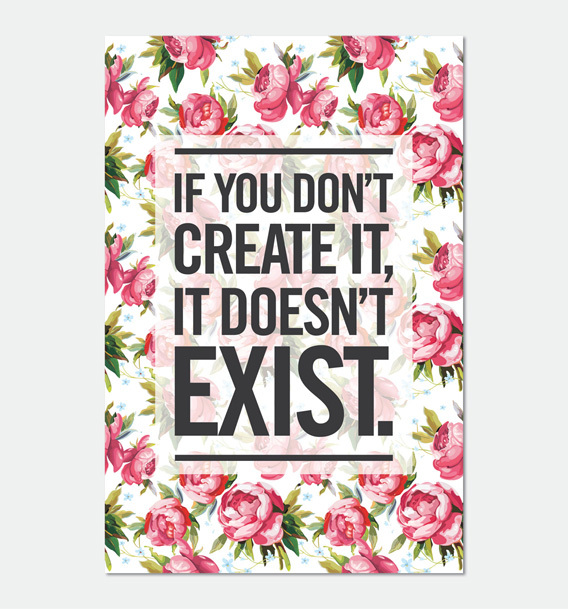 While aesthetics are important, I like to see what creative work achieves and how it works rather than just what it looks like. I like to hear the stories behind the work, how creative teams came up with the idea and how they sold the idea to the client. I adore listening to people’s experiences, insights and approaches, and I love an anecdote. 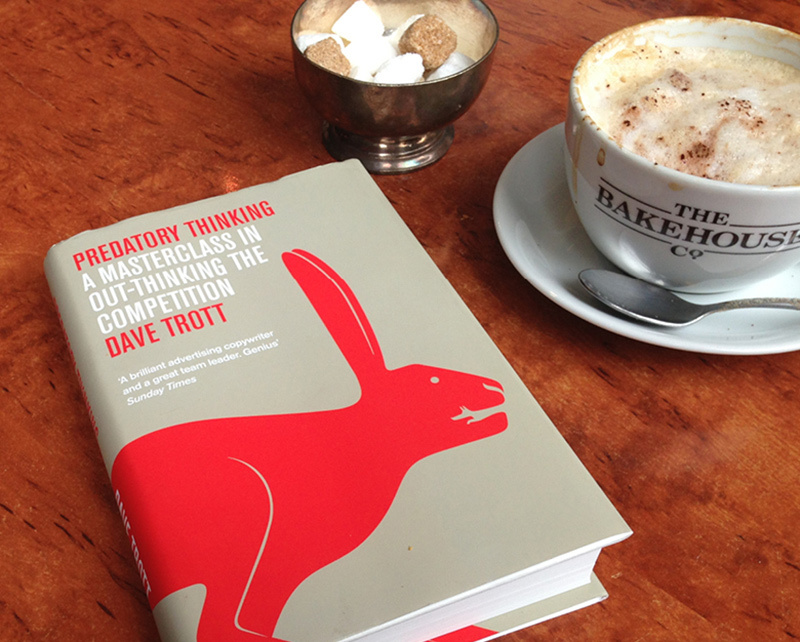 Enter Predatory Thinking A Masterclass in Outwitting the Competition by Dave Trott. And a masterclass it is indeed, for every tale in this book has a lesson. 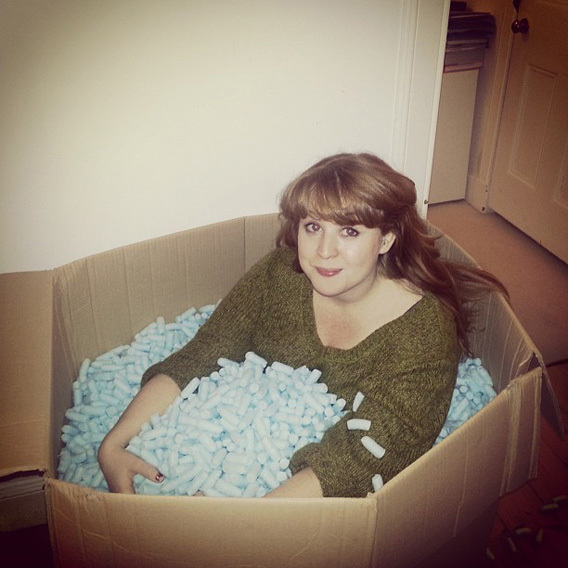 Here’s to getting out of the protective packaging and tackling things that scare me in 2013. For as long as I can remember, my resolutions have always been to stop biting my nails and go swimming (regularly). I keep neither. I’m not really a believer in New Year resolutions, which is probably down to my inability to stick to them. I am, however, very much a believer in trying to improve yourself and in doing/attempting new things. There’s that saying that ‘If you do what you’ve always done, you’ll get what you’ve always got’, so off the back of that affirmation, attributed to Henry Ford that I probably saw on Pinterest, I have decided to embrace Doing Scary Things. This is my contribution to Advice to Sink in Slowly, an ongoing series of posters designed by graduates for the purpose of passing on advice and inspiration to first year students. 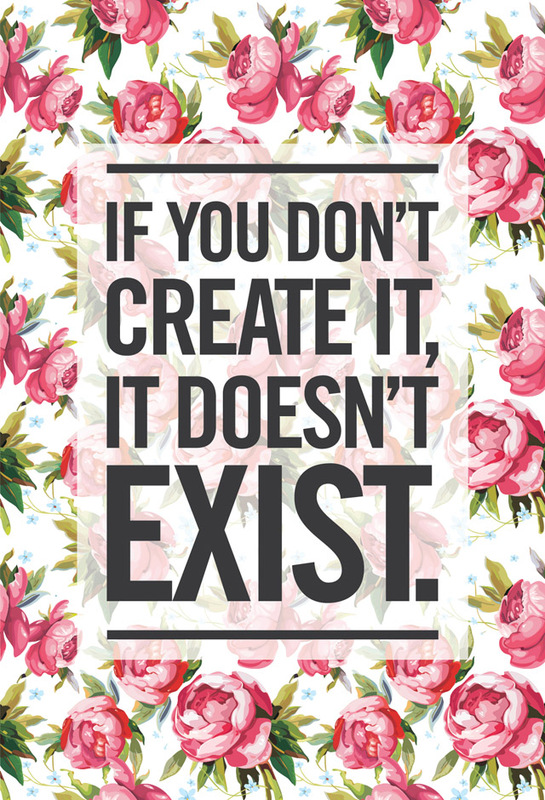 My advice is ‘If you don’t create it, it doesn’t exist’. When I was a student I often felt demotivated by comparing myself to other students/designers/agencies and lacked confidence in my work, and sometimes felt inhibited by this. Whereas the reality is that students are probably creatively at their free-est. I’d like to encourage them to be free, and unafraid and to have confidence in their ability; every creative has something totally unique to offer. 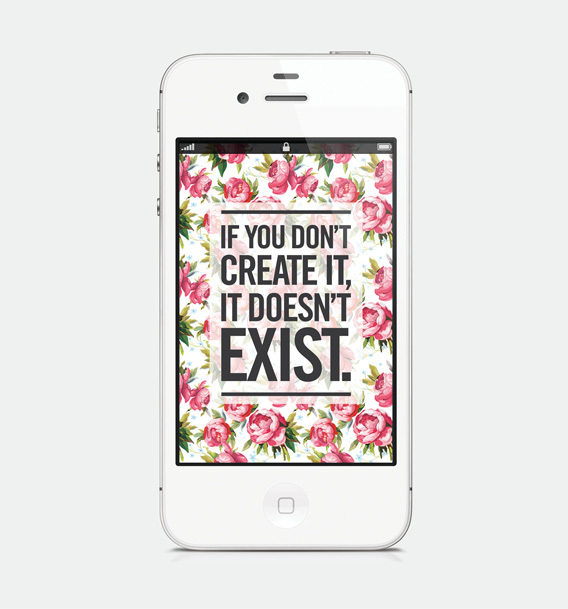 And because it’s nice to be nice you can download a free iPhone wallpaper of the print here.